Sr. Consultant Urologist, Andrologist & Infertility Expert. Confirm to Dr. Chandan Choudhary that you found their Phone Number(s) from Doctors In Citi. M.B.B.S. (Hons), M.S., M. Ch (Urology), Gold Medalist Sr. Consultant Urologist, Andrologist & Infertility Expert. Dr. Chandan Choudhary is having his Urology Clinc at Malviya Nagar, South Delhi, offers comprehensive and high quality services regarding Urinary Tract Pathologies (Urology) and Impotence - Erectile Dysfunction and Infertility (Andrology). Over the years the field of Urology and Andrology has seen mammoth developments which were previously unimaginable. Stone & Prostate Clinic at Malviya Nagar, South Delhi Urology Centre has gained extensive long term experience in diagnosing and treating Kidney Stones, Prostate Enlargement, Prostate Cancer, Kidney Cancer, Bladder Cancer and Incontinence. Whereas our Andrology Centre has mastered latest technologies in the field of male infertility and Erectile Dysfunction - Impotence. *Note - Sunday By Prior Appointment at Stone & Prostate Clinic, Malviya Nagar, South Delhi. Cleared MBBS degree, then did his internship and house job in general surgery. Cleared M.S(Gen.Surgery) at B.J. Medical College, Ahmedabad in 1996. 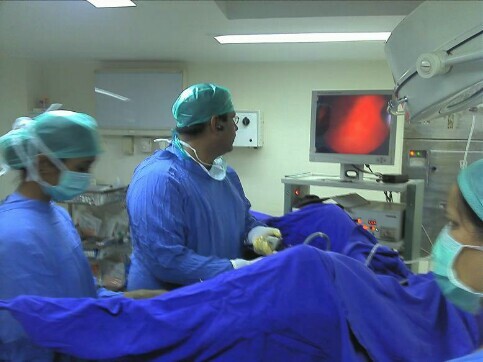 Has experience in endourological procedures & Lapsoscopic procedures like PCNL,TURP,URS etc. MEMBER OF WEST ZONE CHAPTER OF USI & VARIOUS OTHER BODIES. Rank first in pre M.CH test at B.J. Medical College, Ahmedabad. Cleared M.CH in GenitoUrinary Surgery in B.J Medical College. Special interest in Infertility, sexual dysfunction, and all reconstructive Urology & onco Urology. Attached with various high profile hospitals of Delh.